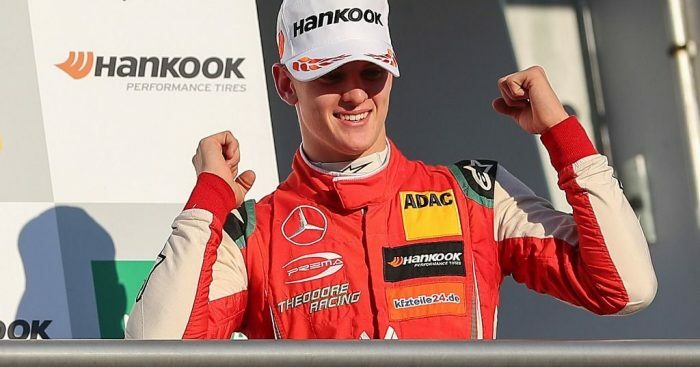 Mercedes feel Mick Schumacher can become “one of the greats of our sport” after clinching the FIA Formula 3 European Championship at the Hockenheimring. Schumacher headed into the final round of the season with a handsome 49-point lead over nearest rival Dan Ticktum, who has been very sceptical of Schumacher’s sudden surge in form which saw him win five races in a row. A first-lap collision in the first race at the Hockenheimring for Schumacher meant that he had to avoid dropping a further 15 points to Ticktum in race two, which he managed to do by securing a second-place finish. Schumacher’s title win comes just a season after finishing P12 in his rookie campaign, and the son of seven-time World Champion, Michael, was “really grateful” that he has been able to live the dream. “It’s hard to describe in words,” said the 19-year-old. “I feel really grateful for what I’m able to live in this moment, to live this dream. We do what we love, so to also perform well in it is the best feeling you can get. “I have the team behind me, and people I can go to for relaxing. “This was key for me coping with the attention that I have, and to focus on racing and what I love doing, which is being on track and turning quick lap times. Congratulatory messages poured in following Schumacher’s success, with Mercedes team boss Toto Wolff amongst the most notable to heap praise on the teenager. “Congratulations to Mick on winning the FIA Formula 3 European Championship title,” said Wolff. “Attention was focused on the youngster right from the start, and he was under a lot of pressure. It’s not easy coping with all that, especially if the season does not get off to the best of starts, as in this case. “His performance in the second half of the season was therefore all the more impressive. He has shown that he has what it takes and that he can become one of the greats in our sport. Schumacher is expected to make the jump up to Formula 2 next season, with a move to Formula 1 viewed by many as a case of too much, too soon despite being linked with joining the young driver programmes at Ferrari and Red Bull.